Before getting started on more elaborate wooden clock projects, I create a series of simple clock concepts from low cost medium density fiberboard (MDF). This allowed me to complete quick iterations on my design for the gears, power assembly, and escapement. 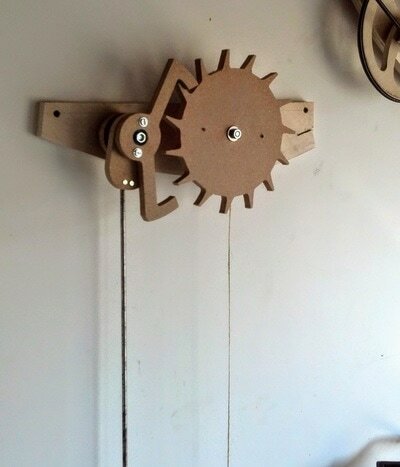 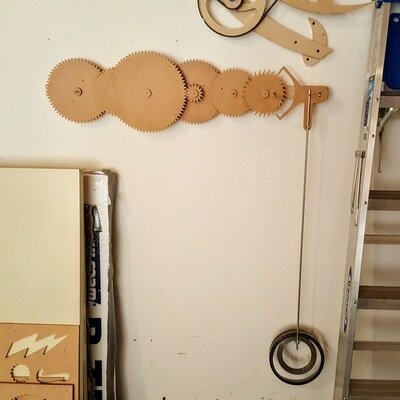 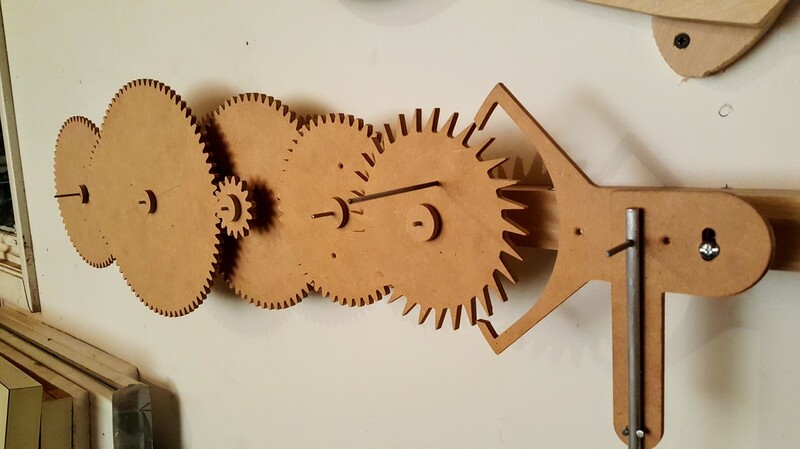 Then, I was able to apply the lessons learned to more complicated projects such as the Leap Wooden Clock.